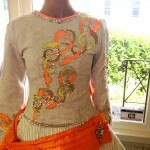 White crushed velvet and pleated satin dress with yellow, metallic gold and orange embroidery on bodice and completely down one arm. 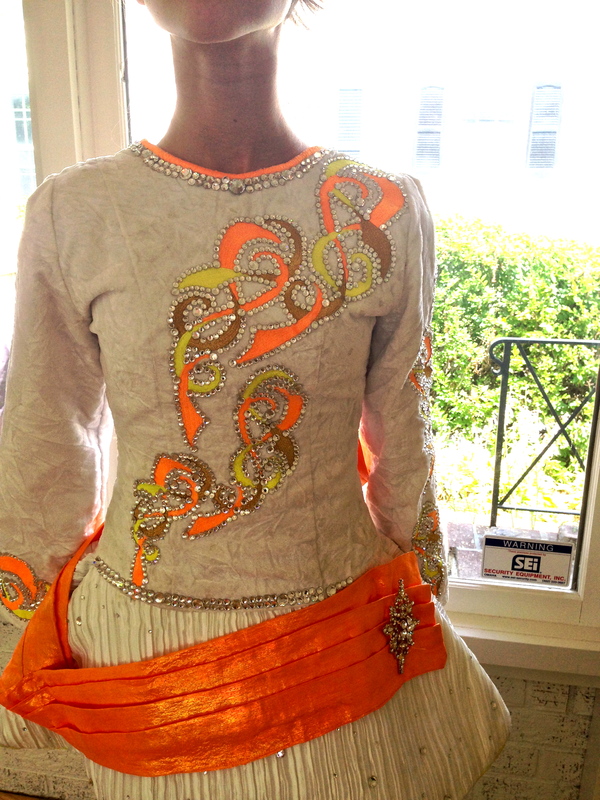 Worn by a petite 12 year old PC dancer, every inch of embroidery is outlined with various sized crystals totaling more than 1500. This dress sparkles on stage! 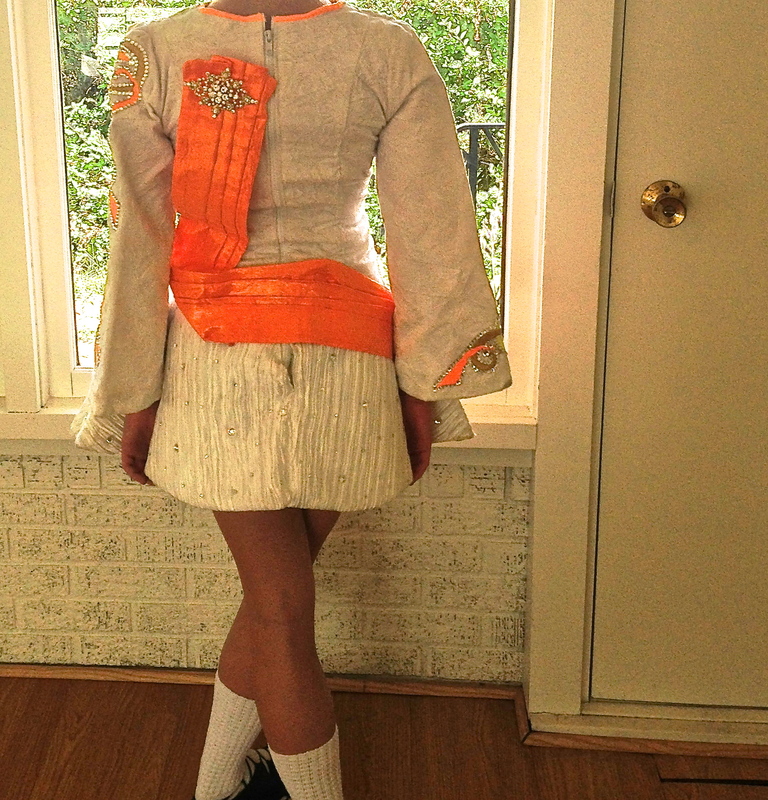 The dress includes kick pants , a matching headband and removable orange sash with two decorative crystal pins. (shown). There is room in the sleeves and skirt for let down.